The Alegria 57 building is located in one of the most sought after areas of Lisbon: Príncipe Real. 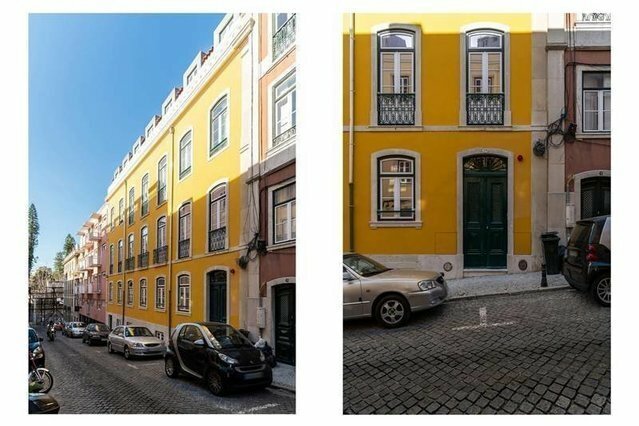 Completely restored, where the traditional façade was maintained, the building has 6 floors and apartments 4 and 4 duplex bedrooms with large areas, high right feet, lots of light and city views (in the higher fractions). The features of the original architecture were elegantly combined with modern details, creating very appealing social and private spaces. The fractions benefit from balconies, dedicated storage and some of the bedrooms en suite. The apartments also have parking. Fall in love with Lisbon!